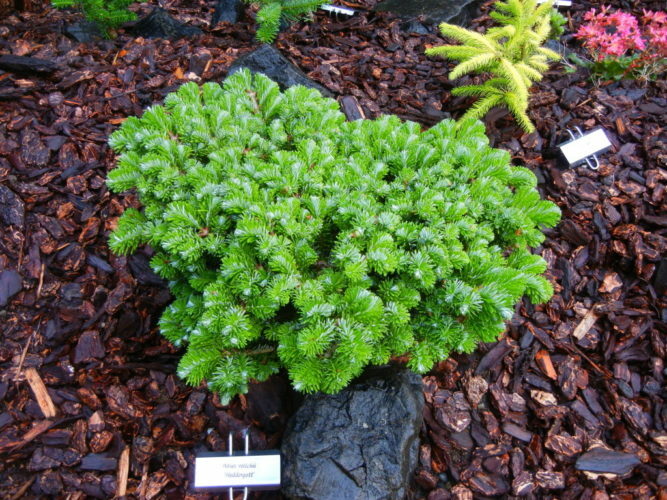 Abies veitchii 'Heddergott' is classic dwarf cultivar of Veitch fir. This plant is notable for flat, spherical manner of growth. When young, the plants overall structure will be somewhat irregular and sometimes an older plant will form leaders and begin growing upwards. If a nice spreading, uniform dwarf shape is desired, these stronger shoots should be removed. The needles are oblong, shiny-green and often slightly bent, revealing their shimmering silver undersides. Around 1970, Heddergott Nursery of Holstein, Germany, found the original witch's broom from which cuttings were grafted to create the original plants. Later in the 1970s Günter Horstmann Nursery introduced and began distribution to the nursery trade. 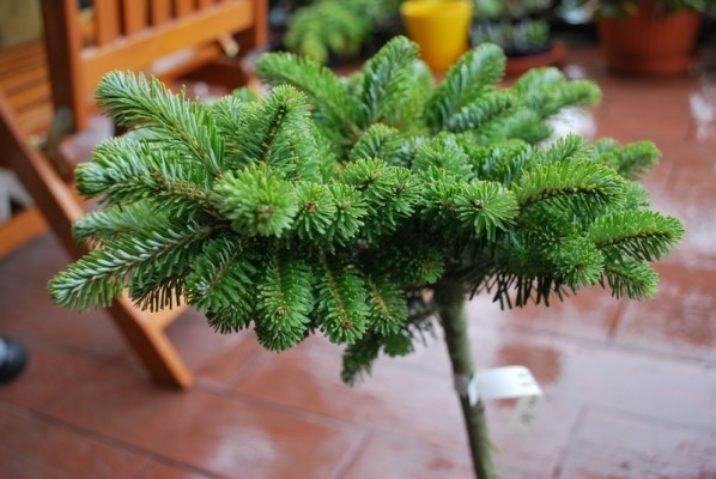 It should be noted that cultivars of Abies veitchii perform best in good garden soil that does not get too dry in an exposure with shade from late afternoon sun.